When you buy a new tool, you want to know that it’s effective, but also that it’s safe. Fortunately, torque tools are like a lot of consumer products: they’re designed with user safety in mind. Here are some things to consider when you’re looking for your next tool. It’s a pretty obvious equation: the less time it takes to complete a task, the less time there is for something to go wrong. When you choose a tool that reduces the time it takes to finish a job properly, you’ve lowered the probability you’ll have an accident. 2. The More Complex A Tool, The Greater Your Chance Of Injury. A complex tool with a lot of parts may require more skill and additional operators. The more difficult the operation, the more likely an injury can occur. A tool that can perform the same task with fewer parts will be safer. 3. Direct Tool Operation Can Lead To A Greater Chance Of Injury. Tools that can operate by remote eliminate most opportunities for accident and injury. If you can avoid direct operation of a tool, you’ve lowered your chances for injury. If a tool needs to take several steps to complete its task, you run a greater risk of sustaining an injury. For example, a ratcheting torque wrench needs to energize several times to tighten a nut, which means it needs to re-establish a reaction point each time it energizes. By using a torque wrench that doesn’t need to re-energize more than once, you’ll reduce the chances for tool failure and injury. This is pretty self-explanatory: The fewer pinchpoints a tool has, the less places a finger or other body part can get caught in them. When tools break down – whether that’s because of inadequate materials or poor construction – they can become safety hazards. By choosing tools made with the right materials and construction, you’re decreasing your risk of injury. A tool that lowers requirements on operational ranges automatically reduces safety risks. For example, a tool with lower hydraulic pressure has less chance of causing serious harm if a pinhole opens in the pressurized hose. Some injuries happen right away. Others happen over the course of a career. Think about the repetitive stress that comes from constantly tightening or loosening bolts. Tools that make operations move faster also reduce the risk for repetitive motion injury. Accidents happen when people get tired. And having to install and remove, say, stud tensioners over and over can be tiring. 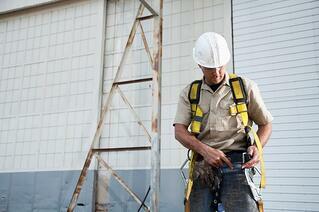 Tools that can reduce the time spent tensioning can also reduce operator fatigue, which lowers the risk for accidents. Think about all the times you’ve had to settle for using the wrong tool for a job. Maybe you’ve used a butter knife to tighten a screw, or hammered on the back of a wrench to help loosen a bolt. We know these methods aren’t safe, yet use them anyway. Wouldn’t it be better to just find a more appropriate tool and reduce your risk for injury? MaxPro has spent more than 20 years earning its reputation as a trusted provider of torque controlled and calibrated industrial tools for sale or rental. Contact us today to learn how to find the safest tool for your next project.